In the US, filtering or ‘lane splitting’ is illegal. 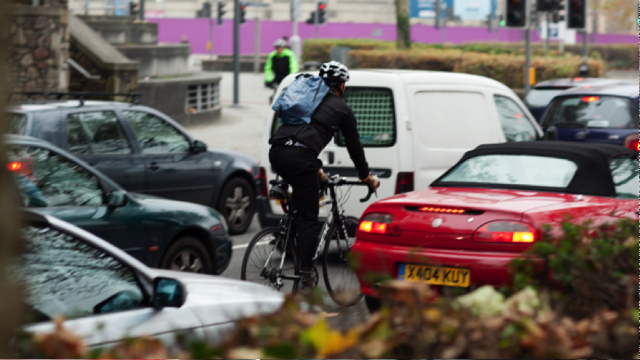 Filtering is where a cyclist under or overtakes in a stream of slow moving traffic. In the UK, filtering is very much a legal activity, however, it does require high skill and attention as motorists may change lanes suddenly. Many motorists fail to look out for cyclists when switching lanes but it’s also important for cyclists to recognise that they may be riding in a motorist’s ‘blind’ zone. Rule 151 of the Highway Code states, “In slow-moving traffic, you should be aware of cyclists and motorcyclists who may be passing on either side.” This confirms the legality of filtering. Cyclists overtaking slow-moving traffic on either the left or the right can now say that this practice is sanctioned by the Highway Code, as it alerts drivers to both possibilities.